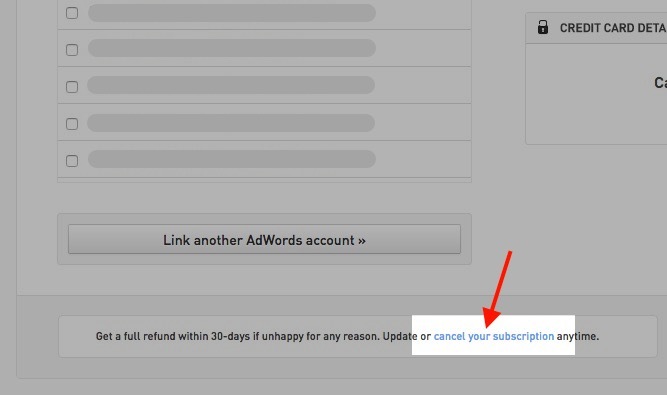 On the manage subscription page, unselect all your Adwords accounts or click on the cancel subscription link (which will unselect all the accounts for you). The button in the lower right will become a cancellation button. Click it. 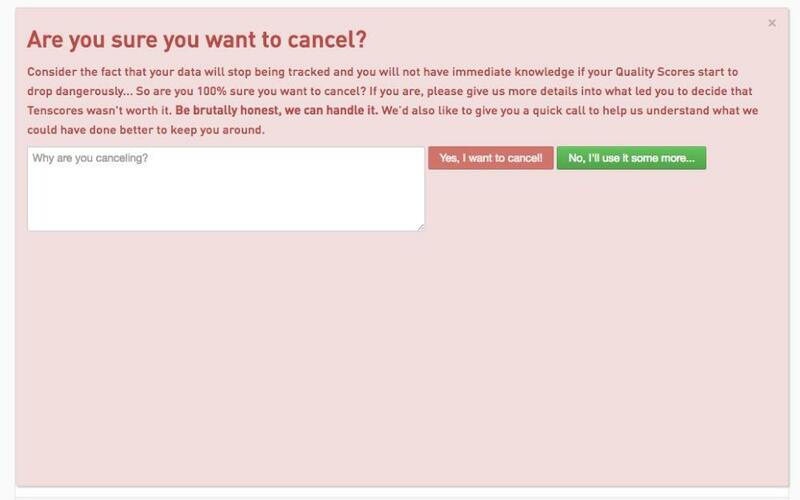 A pop up field will appear asking you why you decided to cancel. Please give us as many details as you can. Click on the "Yes, I want to cancel" button to confirm.